I made it a Shaker card! This is such a wonderful prize!! 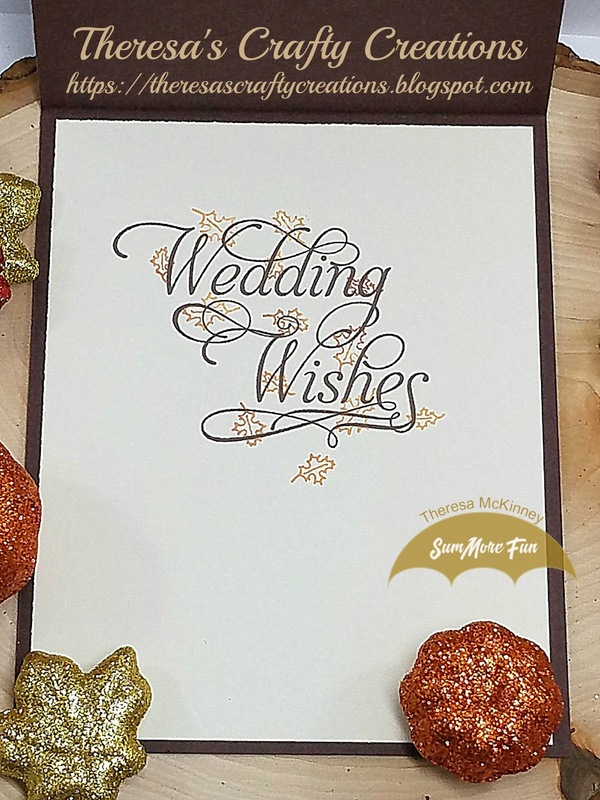 What a beautiful wedding card Theresa, love that it is a shaker. 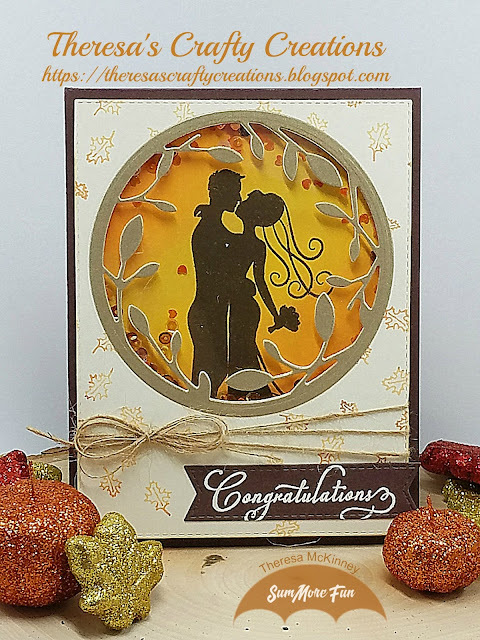 I love how you combined so many awesome elements to make this card! 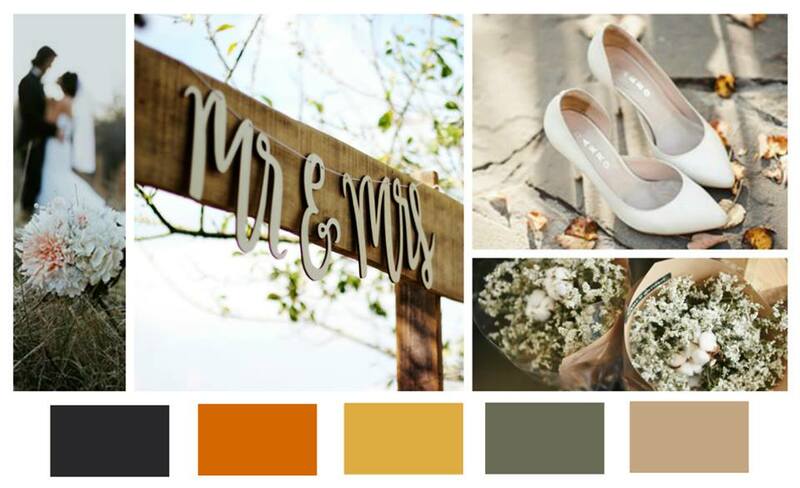 Fall theme, wedding, AND a shaker! LOVE it! That is one gorgeous card my friend. Have a great weekend. Very pretty card! The shaker design looks amazing! I love the inside too! This is so pretty!! I love your take on the mood board! Oh My Goodness - this is STUNNING - I love love love it!